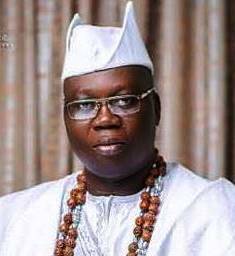 President Muhammadu Buhari has urged the Aare Ona Kakanfo-designate, Otunba Gani Adams, to use the office into which he is about to step in for national unity of the country, reports ITRealms. Adams, ITRealms recalls would will be installed on January 13, 2018 as the 15th Aare Ona Kakanfo of Yorubaland by the Alaafin of Oyo, Oba Lamidi Adeyemi 111, at Durbar Stadium, Oyo town, Oyo State. The admonition of the President to Otunba Adams, the Founder of the Oodua Progressive Union, which is spread across 79 countries, was contained in a statement by presidential spokesman, Femi Adesina. Adesina said Buhari warmly congratulates Adams, the National Coordinator of the Oodua Peoples Congress, on his investiture as the 15th Aare Ona Kakanfo on Saturday. He then charged the new Generalissimo of Yorubaland to use the position to pursue worthy goals of security, peace and national unity. So also did the President commend Oba Adeyemi on the appointment of a new Aare Ona Kakanfo, who, he said, will assist him in the arduous task of leading the illustrious Yoruba people. President Buhari urged the new Aare Ona Kakanfo “to bring quintessential courage, wisdom and astuteness to bear on his new office, for a more secured life for the weak, vulnerable and voiceless in the country”. President Buhari prayed that the almighty God will grant the Aare Ona Kakanfo a favourable reign.